Step 3: Fill in the gaps with your personal information on the page that will open. «Обучение» – if you would like to pay for your classes with one of our teachers. 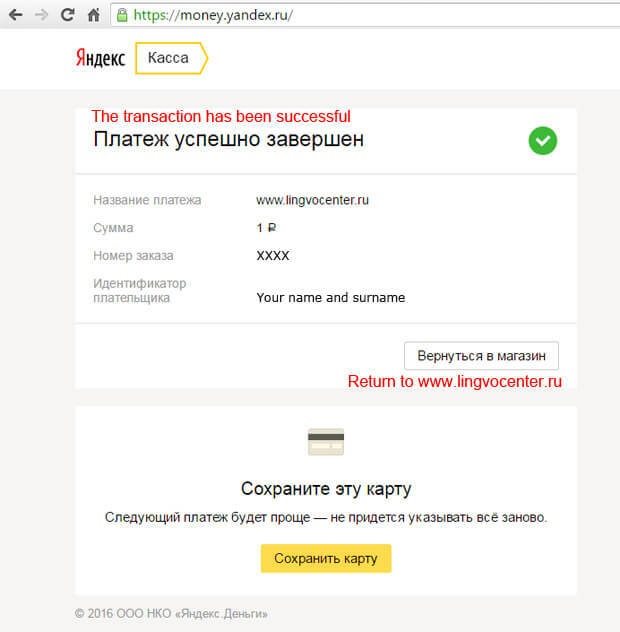 «Перевод» – if you would like to pay for translation services. 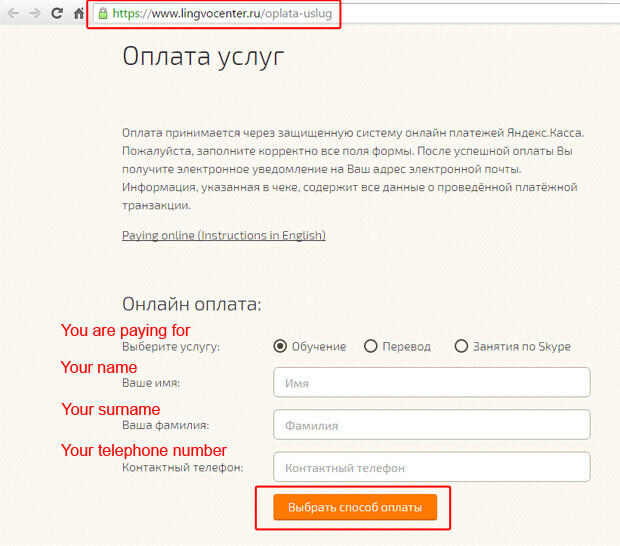 «Занятия по Skype» – if you would like to pay for your online (Skype) classes. Then you will be asked to enter your name and surname, and the telephone number. 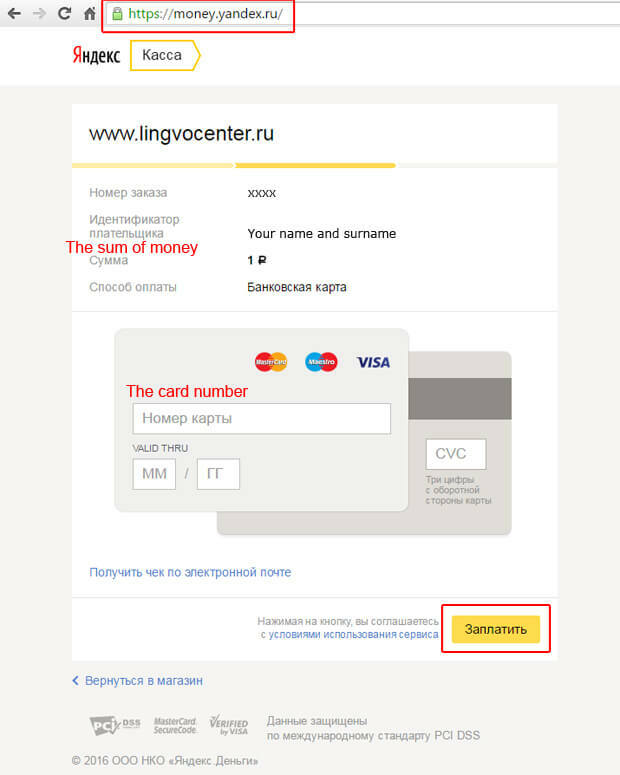 Step 4: On the next page you will see the information you have entered and various ways of payment that you could choose: paying by card, via Webmoney, Yandex.Money or other Yandex.Kassa subsystems. 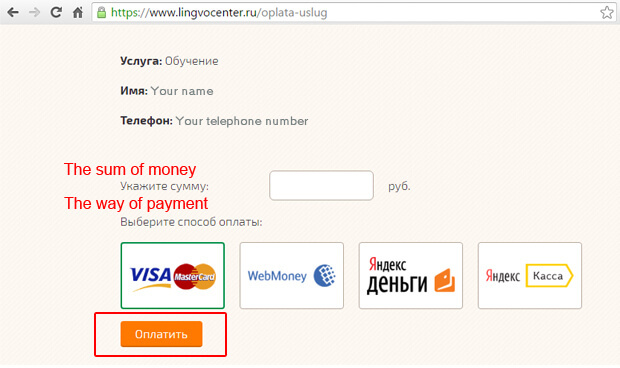 Please, choose the most preferable way, enter the sum of money you would like to transfer and then click on «Оплатить» (Pay). Step 6: The system will most likely suggest sending you a text-message with the password. 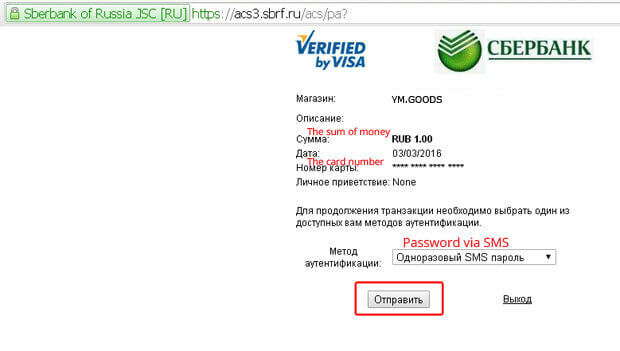 Click on «Отправить» (Send). These are security measures that help to avoid any fraud. 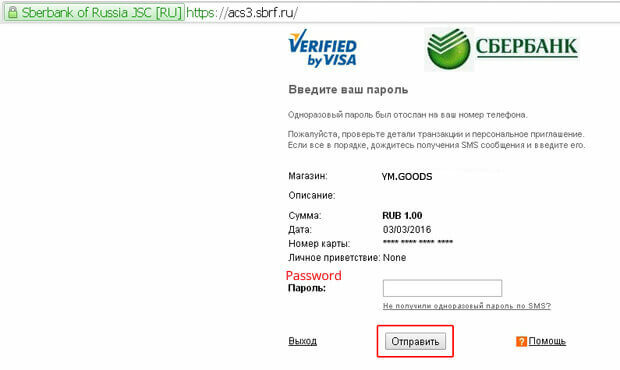 Step 7: Enter the password that you have received via a text-message and click on «Отправить» (Send). Step 8: As soon as the transaction has been successfully completed, you may return to our website.